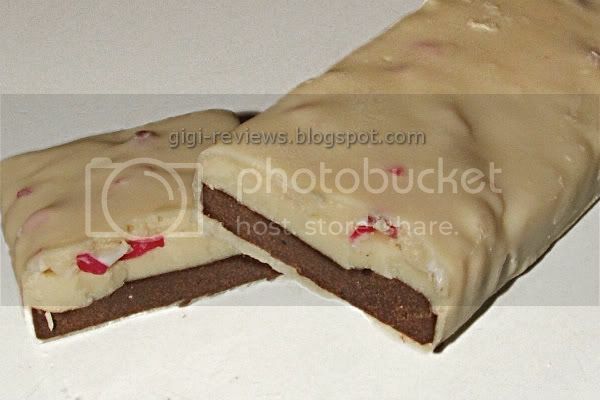 Yesterday's Mint Week entry was Dove's Promises Peppermint Bark offering. I thought an interesting counterpoint to that review would be to try Trader Joe's Peppermint Bark White Chocolate bar today. Confession: I actually bought this bar last year (well, not this exact bar), but never got around to opening it, let alone reviewing it until long after Christmas. And by the time I did, it was no longer in stores, and the bar itself had seen some better days. Hey, when you have a closet full of candy these things happen. 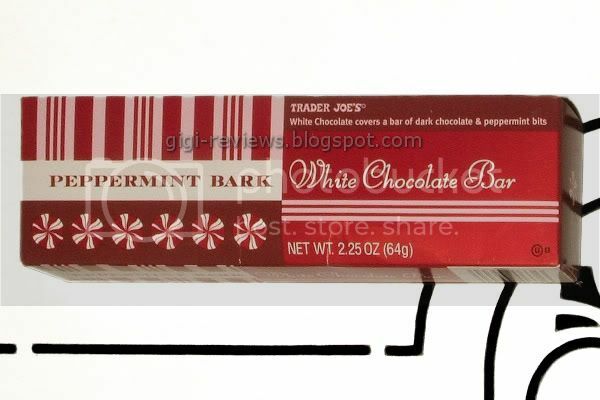 Anyway, Trader Joe's version of Peppermint Bark is a brick about the size of an energy bar. It has a bottom layer of dark chocolate, topped by a thicker layer of white chocolate. Just below the surface of the white chocolate enrobing hide little shards of peppermint candy. Once again, trying each layer separately: The bottom dark chocolate is smooth and has a cool feeling on the tongue. It also melts fast. There's not much else to say about it. It doesn't have the strongest flavor. I mean, I can tell you it's chocolate and it is a little bitter, but that's about all I can say. 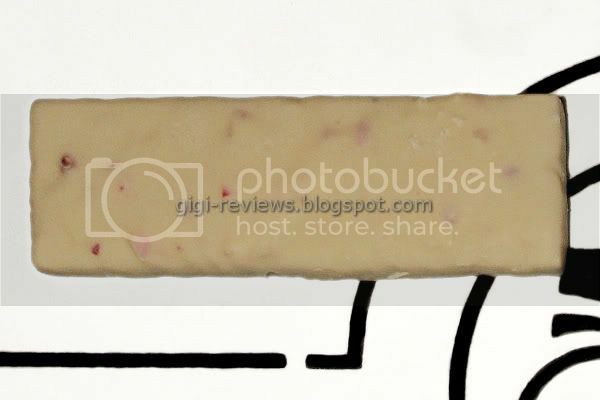 The white chocolate, on the other hand, makes up the bulk of the bar. I am not the world's biggest white chocolate fan, but I liked this bar. It's a super creamy white. Not oily, it has a rich mouth feel, and the melt is smooth. The peppermint flavor is also in the white chocolate -- and it's more of the full-bodied peppermint I had been hoping for with the Dove Bark. The little bits of peppermint add some nice crunch. I wish there had been more mint pieces, but it is still good. All together now: The effect of eating everything in one bite? It's creamy. Nicely chocolaty. The mint is brisk. There's a nice little vanilla note. This bar is addictively good! Now this looks awesome!! Is peppermint bark in the 'IN THING' at the moment in the US?